It's so hard to know what to charge for your services. 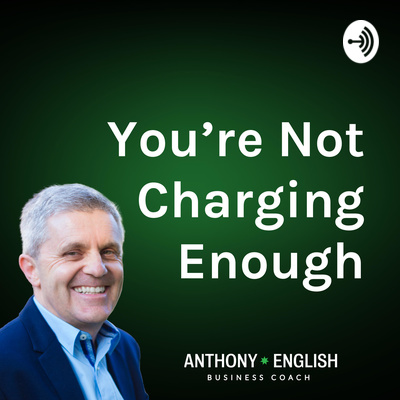 Maybe you've made pricing decisions early on in your business, and don't know how to charge more without losing all your clients. That's what this podcast is about. I show you some tactics you can use to connect your price to the value that you're bringing your end client. 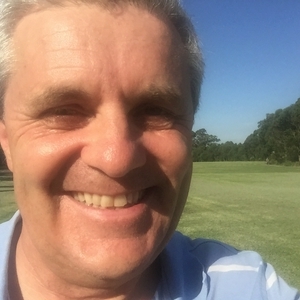 I'm Anthony English, and I help service businesses get clear and confident about their pricing and how that fits into their business model. If a key stakeholder tells you some complete deal-breaking objection early on, do them the courtesy of at least acknowledging it. Two business partners in conflict about whether or not to sell the company? You’d better resolve that question before you go and sell the company for them, or it will come back to bite you. In the midst of pain and tension there is nothing like a small dose of release; a little bit of hope. By focusing on the financial upside the positive seeing yourself as an investment you can switch the thinking of your client from focusing on you as an expense. If you miss any one of these steps, you’ll discount, or not make the sale at all. This goes way beyond “fake it till you make it” advice. Do your prices come from your competitors? Are they the benchmark? One of the reasons holding people back from buying your service is that they don't see the connection to their bottom line. Being able to show them how you can have an immediate impact, as well as a long-term impact, on their revenue, is very valuable. Without that, you're leaving the client to work out how your magic is going to apply to their situation; how it's going to benefit their business in the circumstances they find themselves in right now. In this episode, I use a real-life example of businesses that have a booth at a trade show, but have no way of nurturing the warm leads they meet because the business doesn't see the connection between: "meet visitor" and "increase revenue for our business." When you look at your revenue engine, you can do a quick assessment of what is draining you if your time and energy. Marketing: initial setup. Is it high, medium, or low effort? And then ongoing: high/medium/low? So, too, with how you nurture those leads. Keeping the fire stoked. And the sales process. Delivery of your service. And follow up. How intense is the effort for each of these areas? When you are showing a before and after with offering your service, it can be very powerful to spell out the before in clear, measurable terms. Make it relatable to a pain that they are already facing. What’s one thing you can offer a client that will give them an instant result (a quick win) and that requires them to make little effort? Bonus points if you create a follow-up appointment and some visible way of holding them accountable before that appointment. If you can show your client where they are, and where they are headed, then you can get a piece of that pie. When clients ask you for a proposal, what do you say? It’s important to be clear about where your client is at the moment, and clear about where they want to be. Vagueness in your conversation will lead to vagueness in proposals. How do you answer when a potential client asks for your price without any context? Having two or three options in your proposals can make it an easier decision for your clients to buy. It also gives you a stronger negotiating position, since it options allow you to ask the clients: "what do you like, and what don't you like?" In other words, you get the clients to focus more on the value you're bringing to them. Here's my system for creating options on proposals (with the help of post-it notes!) If you'd like to see a walk-through tutorial on how to create options, enter your name and email address here and you'll get instant access to the tutorial. Giving only one price can be an ultimatum. By creating two or three options, you’re competing against yourself (which is a good thing!) But there's another - more subtle - reason that adding options makes sense. It helps people to feel comfortable saying "no". Because they don't say "yes" until they have safely let go of some alternatives. Want the full series of the 6 Barriers to Pricing that I have observed? Buy the 6 Pricing Barriers in a short, easy-to-read PDF format from here. Are you too focused on the price tag? Pricing barrier #4. There’s a very, very good chance you are undercharging for your services. And there’s also a strong chance that the price the business is paying you is negligible in comparison with the outcome they’re after. If you focus on the price you’re charging - even when the client hasn’t raised any objections in that regard - you’re drawing attention back to the money, when it may not even be an issue for them at all. How to get past this barrier: Think back to three large purchases you have made in the last three years. Do you even remember exactly how much you paid for them? Maybe not. Get used to thinking and speaking in amounts that are significantly higher than what you have previously charged. As a percentage of your income, these amounts might seem high, but when you focus on the value you will bring to the client’s business, you’re probably emphasising price over quality more than you realise. Buy the 6 Pricing Barriers in a short, easy-to-read PDF format from here. Sometimes, we're our own worst enemy. We think we have to convince the client to buy. We imagine they’re going to be hostile. So, we discount our value in our own mind first, before we speak to the client. How to get past this barrier: Recognise that you are not trying to manipulate the client into a position where they buy. You’re trying to show them that you understand their vision, you understand their immediate problem, and you know a way to get them through the obstacles, to bridge the gap from where they are to where they want to be. Buy the 6 Pricing Barriers in a short, easy-to-read PDF format from here. Barriers to Pricing: #1 Afraid to hear the word "no"
This episode isn’t about wearing people down, pestering them until you get them to give up and buy your services. No. It’s about the decision-making process. People aren’t afraid of what they’re saying “yes” to. They’re afraid of what they’re saying “no” to when they do say “yes”. By acknowledging and buying into that decision-making process, you can make their “yes” much easier for them. “Teach a man to fish and you feed him for a day”. So the saying goes. What about teaching somebody to price? The value you bring to your clients can be long-term. If you price accordingly, if you change your business model, you can massively increase your profitability without working longer hours and without acquiring more skills. Self confidence in the value you bring is, of course, essential, but it’s only one part. There is also the client’s confidence in the value you bring. But before you sell an engagement, there are two more confidence parts that you need to lock in. Businesses pay you because you are lowering their risk. You are lowering the risk of them doing nothing or it themselves or outsourcing it to somebody else. You are lowering that risk in a quantifiable way. That’s why they pay you. When you are using your skills, your tools, your techniques, your experience, those are merely means to solving a business problem for your client. Here’s a real life example from a coffee shop owner who couldn’t accept payments from her customers. Your service is going to have an impact on your clients. That impact may be financial. It may be emotional. It could be something else. By seeking out clients who are aware of the impact you can have, you are better placed to charge accordingly. If someone asks you to work for free, how do you handle it? One way is to work together to create content that you can make public. However, if they are not willing to invest money in their own business, why should you? Because that’s what free work means: you’re giving your time for free, which makes you an investor. When Do You Tell Them Your Price? Timing is so important when it comes to pricing. Giving the price too early could give the client sticker shock. Giving it too late could result in the sale going cold. So, when do you bring up the price? Sometimes the customer is ready to buy is happy with the price but then the vendor stepped back and tries to discount. That’s a failure to see the value that the customer can see. You might assume that businesses bigger than you already have systems in place. You might think they don’t have gaps that you could fill. In fact, there are often massive gaps, especially in areas where they aren’t in their field of expertise. How do people pay you people are paying you already maybe not with money but with their attention with their email address, with follows, with likes, with comments, with dialogue. And that is warming them up to become your client, long before they ever pay you in cash. If you offer three tiers (at three different prices) you may find the client wants the lowest priced tier, but also likes some bonus from the higher tier. Here’s how to handle that. Did you remember the price you paid? Look back to your last big trip. Do you remember how much it cost exactly? Probably not. Do you look expensive? Do you want to? Being a few steps ahead of your buyer may make you accessible enough for them to think: “I could work with that person”, but not so daunting that people will shy away. People aren’t buying your service. They’re buying the outcome that that service will bring them. They aren’t paying you for deliverables. They’re paying you for what their life will be like as a result of those deliverables. Do you know what it's like when a vendor offers you lots of free, one-on-one advice? You may be wondering: "what's the catch?" Of course, there are good reasons for offering free content (like this podcast), but most powerful is when you have a carrot - an incentive - for the client, and make it obvious what you have to gain, as well. Want some pricing advice? Book a session with me, and we'll work through your biggest pricing challenge. If you really don’t have a starting point for your prices, try this little exercise: set a crazy upper price and a hopelessly inadequate low price. And once you have done that, try making your price relatable to something (other than "for the cost of a cup of coffee a day"). Want some pricing advice? Book a session with me, and we'll work through your biggest pricing challenge. There seem to me to be two approaches that you can take to help somebody to charge what they are really worth. I will summarise these as the approach of the gentle surgeon; a very gentle and warm bedside manner to allow the surgeon to touch that painful fear of charging more. And then there is the surgical precision with which the surgeon addresses that fear. There may even appear to be an emotional detachment, that makes the surgeon focus on the problem. Want some pricing advice? Book a session with me, and we'll work through your biggest pricing challenge. If your client is aware of the immediate benefit and the long-term benefit of your service, those are great carrots to lead with for your pricing. And then there is the stick: if they don’t do this, what are the consequences? What is the opportunity cost? What are they missing out on? Want some pricing advice? Book a session with me, and we'll work through your biggest pricing challenge. Your price point is going to depend on your internal measure of your value. That begins by giving yourself permission to charge your true worth. Want some pricing advice? Book a session with me, and we'll work through your biggest pricing challenge. We fear rejection but learning to accept the word “no”—even to embrace it—is a stepping stone to a bigger “yes”. When you are serving the right clients, the ones that you are meant to serve, you can have the confidence to say no to those who aren’t a good fit. You can have the confidence to hear the word “no” from those who don’t appreciate or respect the value that you bring. Want to get to a stage where you don't mind hearing the word "no"? Book a session with me, and we'll work through your biggest pricing challenge. Price should focus on the value in your client’s mind. You are an expert (stop protesting; it’s true!) Your expertise brings value to the client in two ways: mitigating their risk, or increasing their opportunity. In this episode, you’ll see how this value conversation applies to a designer of wine labels. Want some pricing advice? Book a session with me, and we'll work through your biggest pricing challenge. How do I know you’re not charging enough? Pricing isn’t something you set on your website, hoping that someone will buy. You also have a price in your mind and heart, and that’s where you first set your prices. If that’s not a price you believe in, you will discount. You need to see your own value first and then get that reaffirmed by your clients. In this first episode, I explain how I came up with the title of this micropodcast. Thanks to Jaime Cohen who helped me Use The Right Words. Find Jaime on LinkedIn. Want some pricing advice? Book a session with me, and we'll work through your biggest pricing challenge.